In this book you will learn how to be the best version of your authentic leadership self and achieve much more success with much less stress than ever before. Whether you lead a multi-national business, a mid-sized organisation, a small non-profit or even a sports team - or even if you are only responsible to lead yourself - then this book is for you. 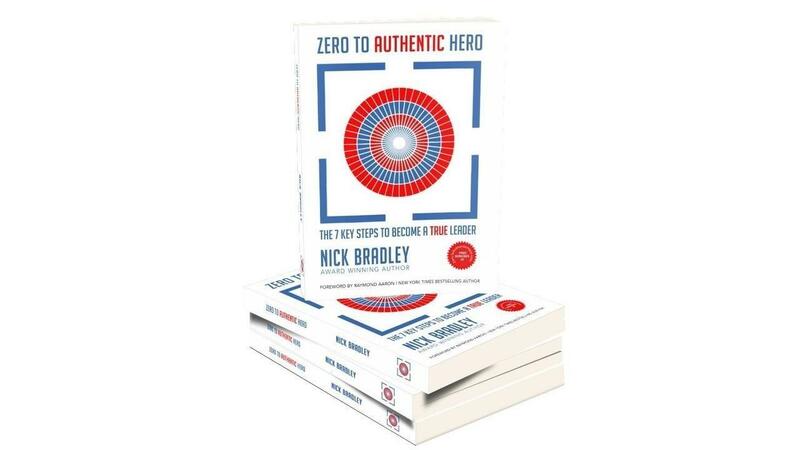 Nick Bradley, the award winning author on leadership, takes you through the 7 key steps which include having a better understanding of your beliefs, a clear purpose and creating a legacy. In addition every reader will also build a “100 Day Action Plan” to grow themselves into a truly authentic leader and start to achieve the success they want. Further every reader will receive free bonuses and support for delivering their plan from a community of authentic leaders who have committed to support you.